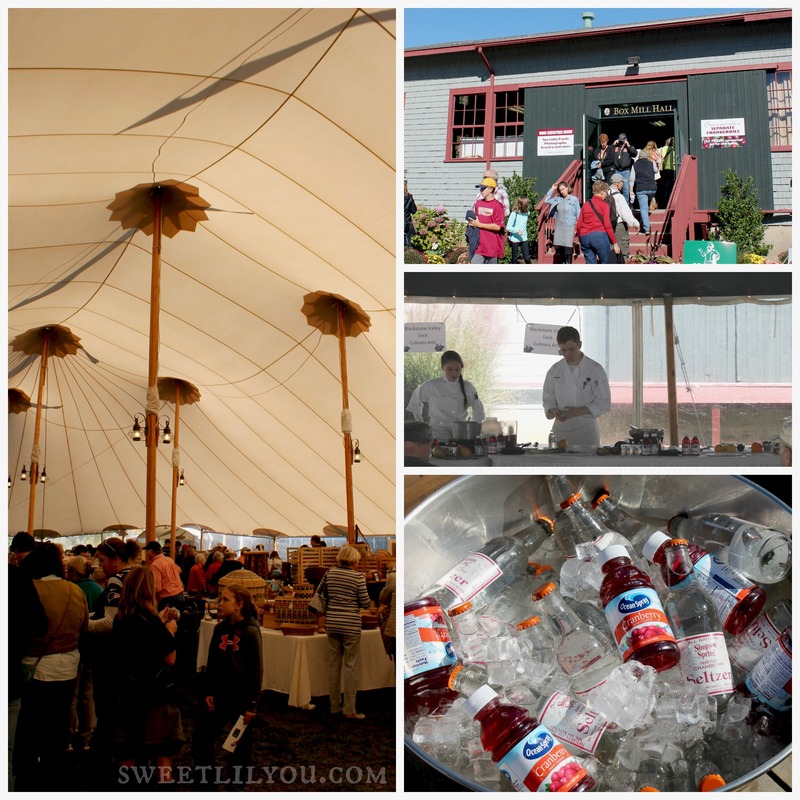 This weekend we headed to Wareham, MA to check out the Cranberry Harvest Celebration at the A.D. Makepeace Company! I wasn’t really sure what to expect. 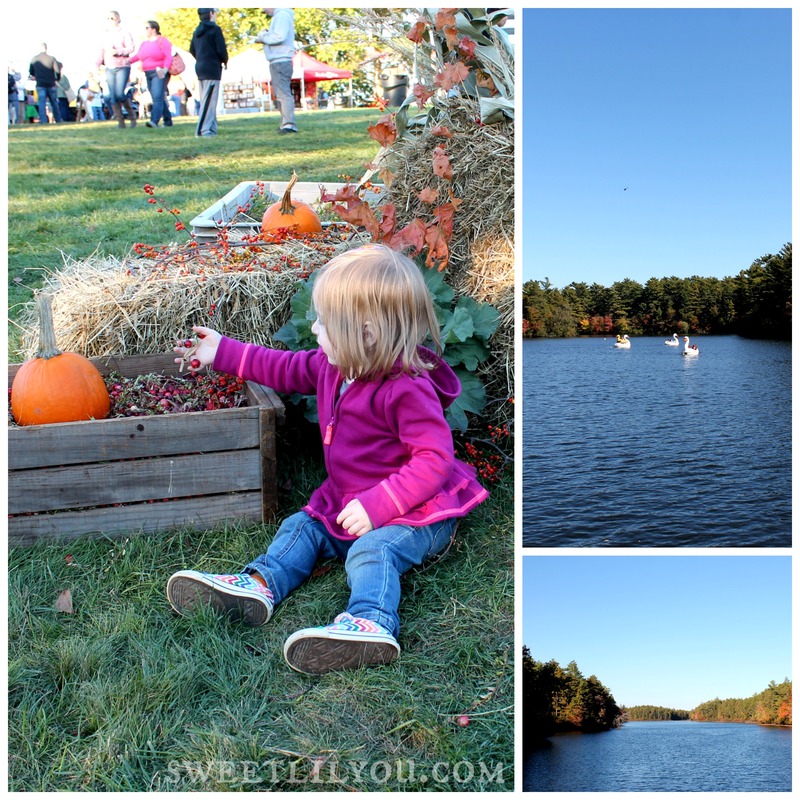 We’d never been to this event before and thought it would be just a little craft fair, some food vendors and of course, information about cranberry harvesting. It was all of those things and then some! 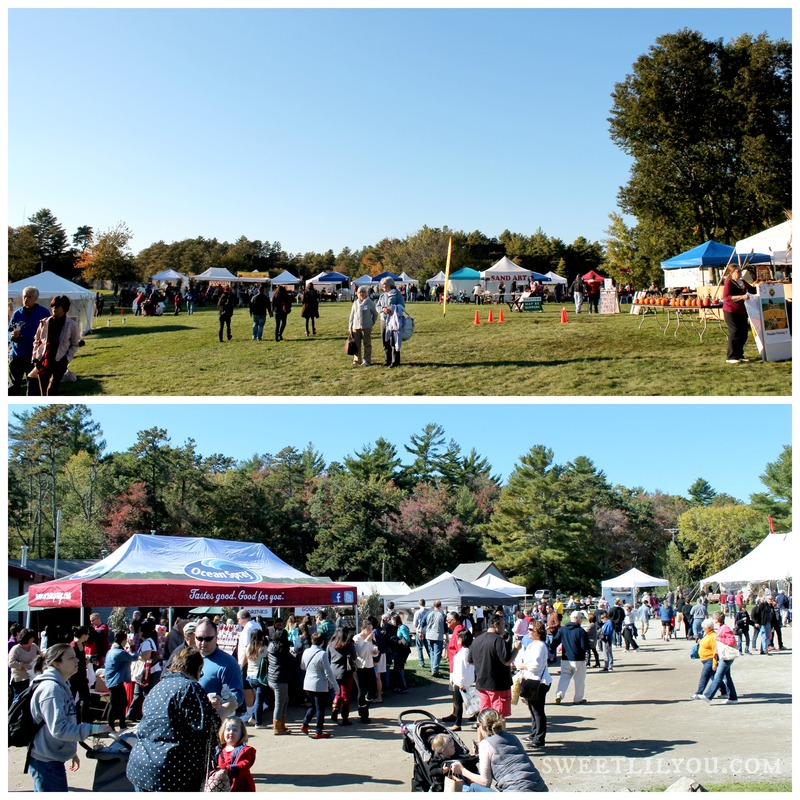 The craft and artisan tent was HUGE, there were so many food vendors, activities for kids, and we learned so much about the cranberry harvesting process! When we arrived in Wareham we didn’t even need our GPS. We could just follow the long line of cars. 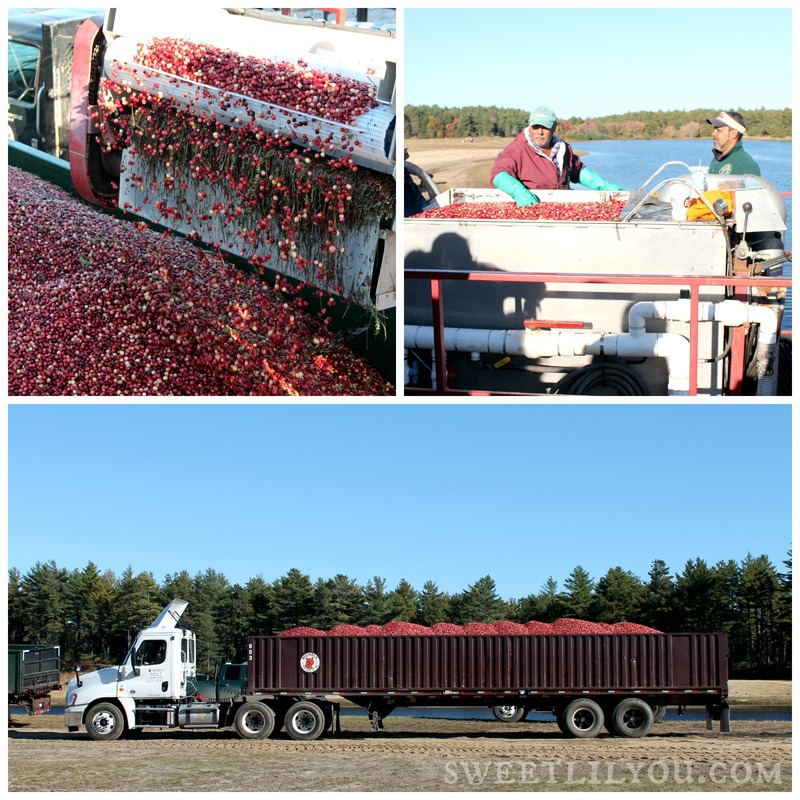 It seemed like everyone in New England was heading to the Cranberry Harvest Celebration! We ended up in a very large parking area and were quickly picked up by a school bus, ready to take us to the festival grounds. Our bus “guide” told us all about the celebration, and about how A.D. Makepeace Company gives back to the community. 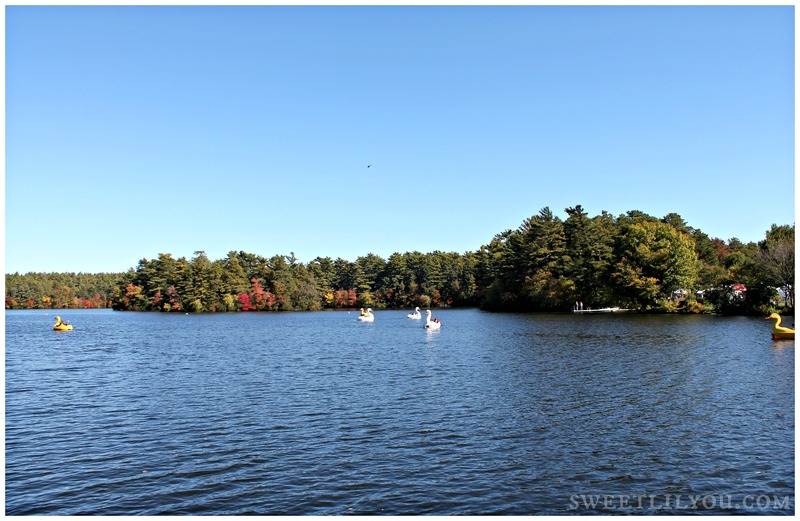 A beautiful pond, bright blue skies, and families enjoying themselves in the swan boats! We knew at this moment that we had made the right decision in coming to the celebration! We spent some time walking around the main event area. We saw some beautiful art, gorgeous jewelry, and lot’s of cranberry products. Admission to the event was $10 for adults and children under 7 were free. 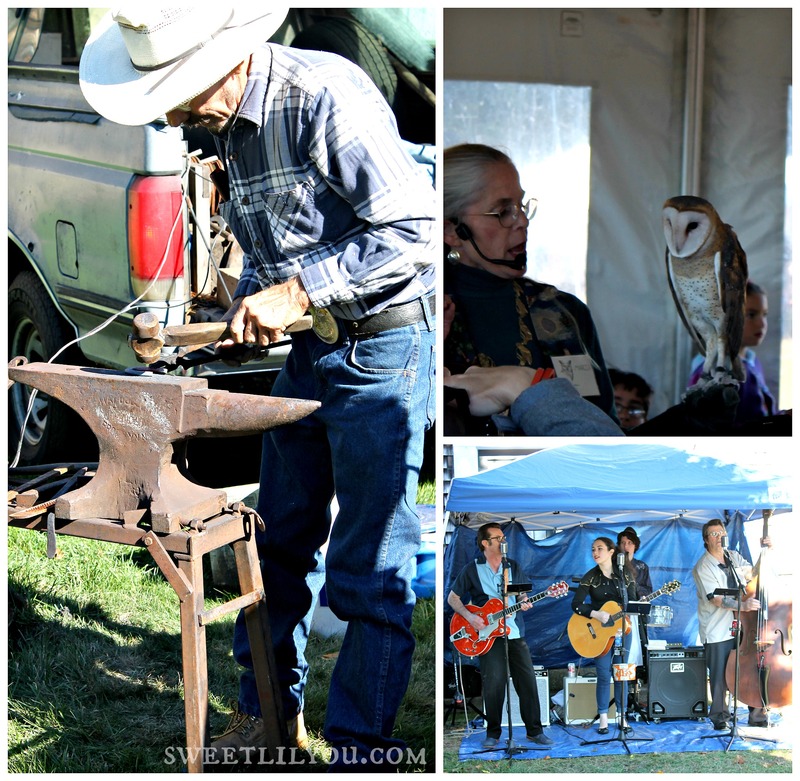 So, for $20 we could view the wet harvest operations, animal demonstrations, live music, cooking demonstrations, and enjoy many children’s activities (like pony rides!) as well as check out all the crafters and artisans. Parking and shuttle transportation were free! There were some activities that carried an additional fee or donation including helicopter rides and rides on the swan and duck boats. 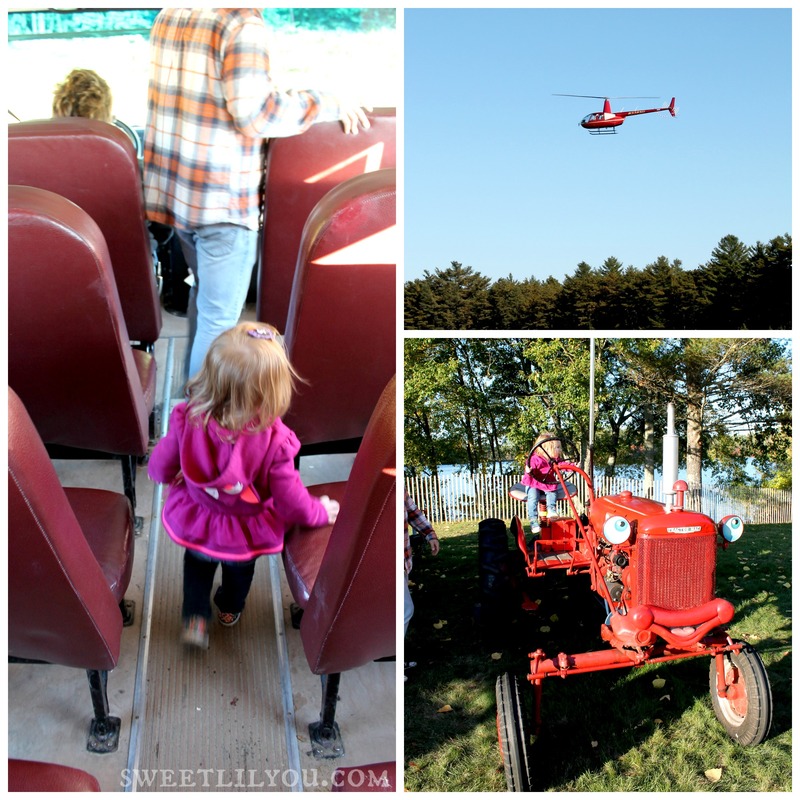 We had some lunch, and then it was time to catch the Bog bus to the cranberry harvest area! 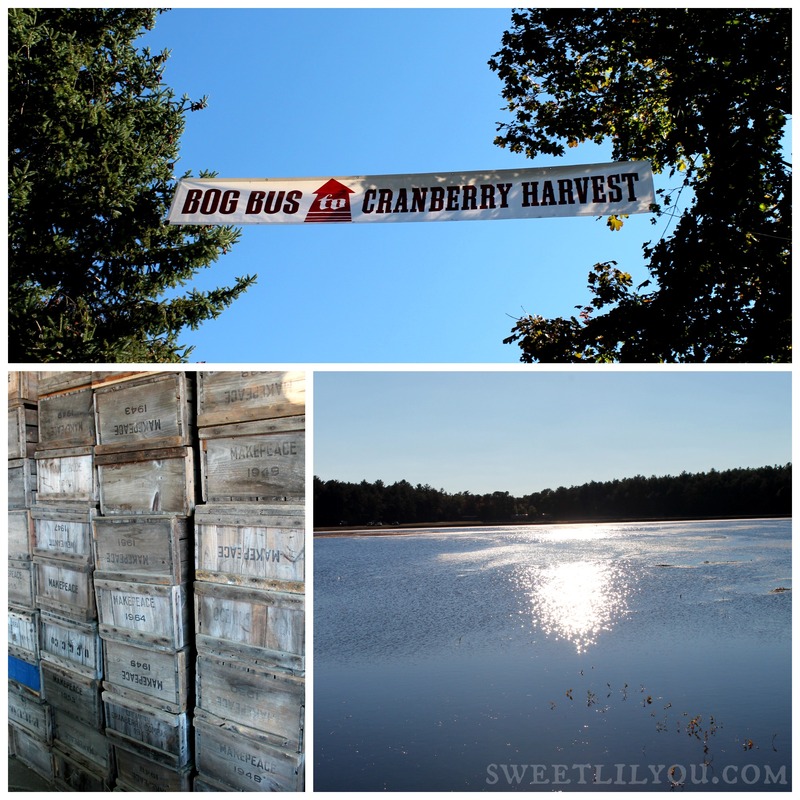 We took a wagon ride around the bog, where we listened to a real cranberry grower tell us all about cranberries and how they grow! It was very interesting! After the wagon ride, we watched the harvest! 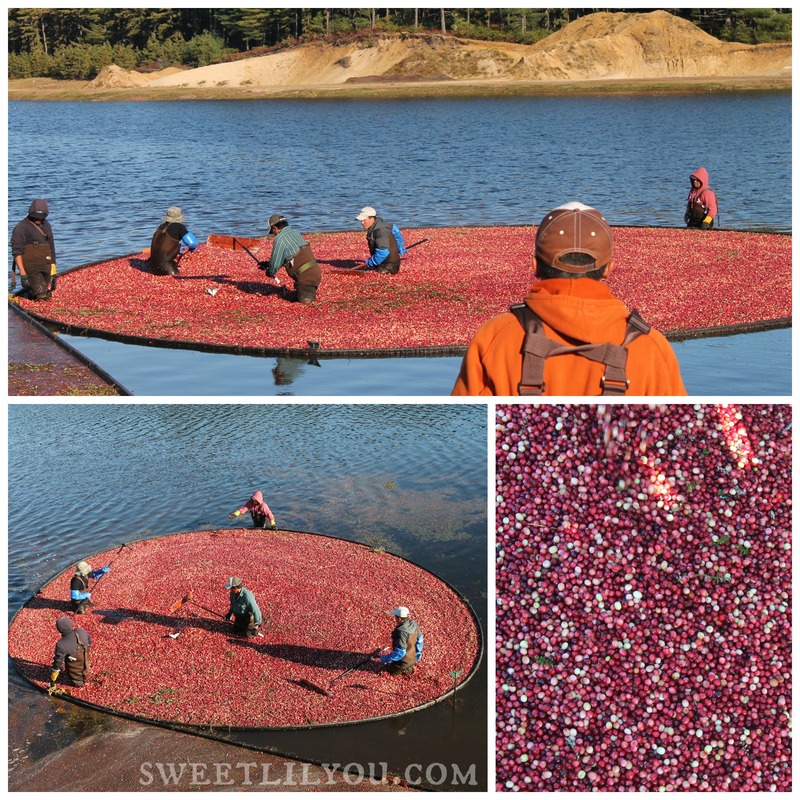 I was stunned by the mass amount of berries that can be harvested in such a short time! That Truck up there was completely full, and we watched them fill up a second truck! It was such a beautiful day and such an interesting event! I wish we had arrived early so we could have spent the entire day there. 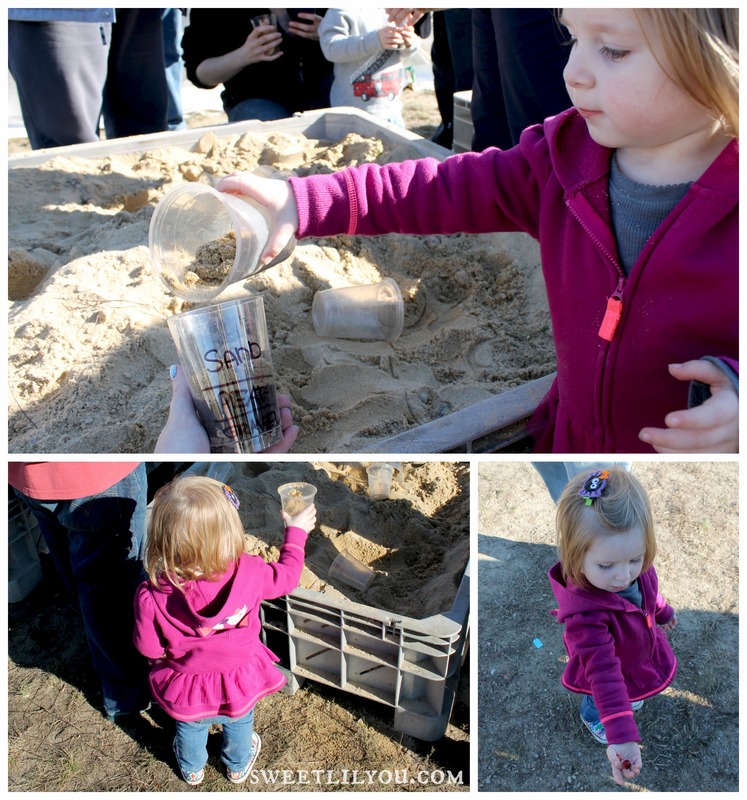 There really was so much to do, and so many activities that we missed! We’ll definitely be going again next year if we’re still living in the area. This is an event you don’t want to miss! 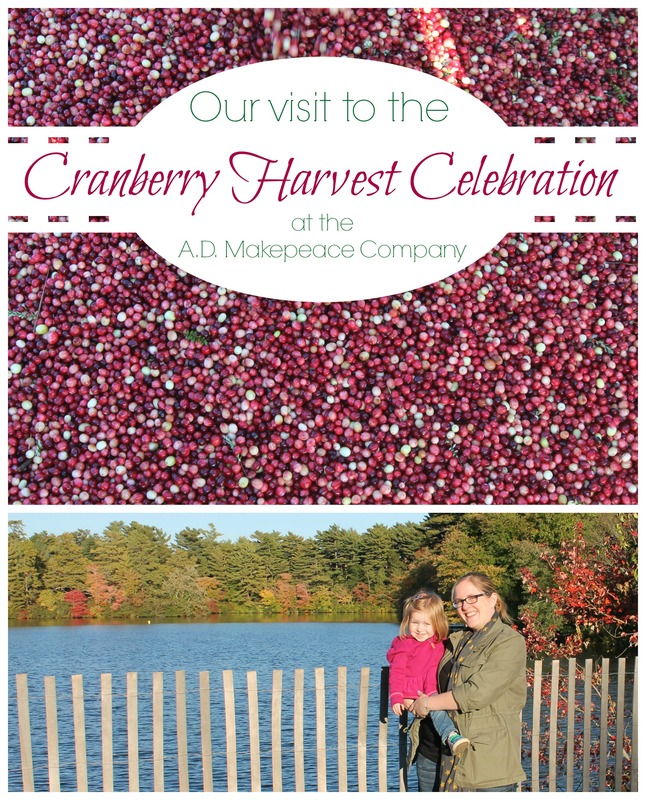 Follow A.D. Makepeace on FACEBOOK and check out their website at admakepeace.com to stay up to date on their events and to learn all about cranberries! 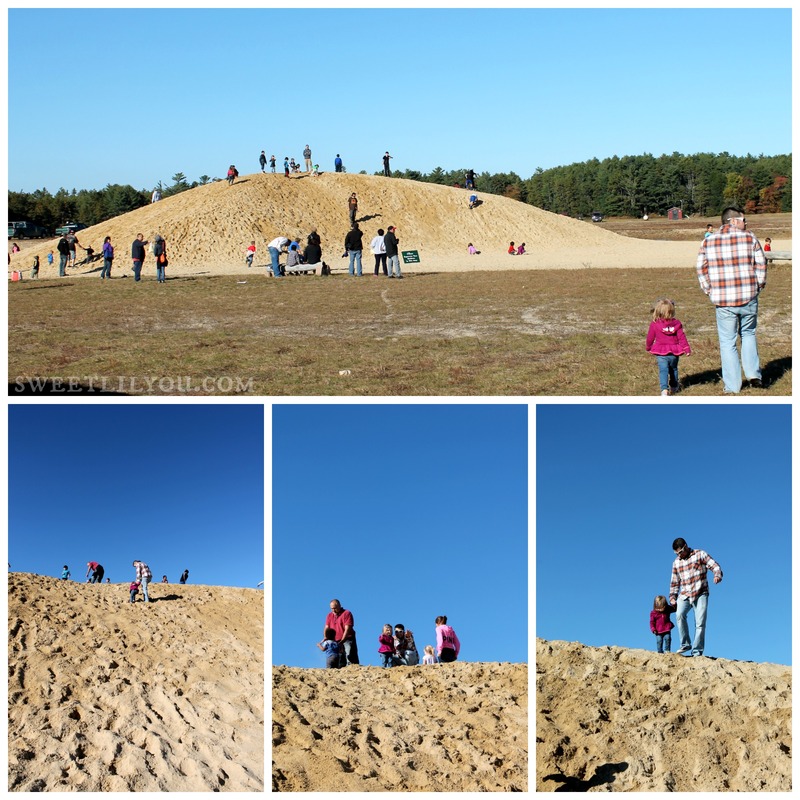 This entry was posted in Adventures, Family Fun, travel and tagged activities, Autumn, cranberry, family, festival, harvest, new england, Ocean Spray, travel.